The Volunteer of the Year Award was established by District 7’s Bruce Reeve, who served as ACBL President in 2004. His proposal for a national award for volunteerism was accepted by the ACBL Board of Directors. The first recipients were from his district: Marlene Wass and Judy Nolan, co-chairs of the record-setting Gatlinburg Regional. The award was named in 2012 for the late Nadine Wood, who represented District 6 on the ACBL Board of Directors and was known for her tireless volunteer work. Shawn Stringer’s house smells like glue. “I’m in the middle of a big project,” she says upon answering the phone. Of course, Stringer is always in the middle of a big project. That’s why she’s the 2018 Nadine Wood Volunteer of the Year. new custom-made strips of self-sticking felt and repainting the vulnerability indicators. She was having people over at her Silver Spring MD home the next day to help out with the last steps and was trying to finish cleaning off the glue before they arrived. Some previous sets of boards were refurbished in time for use at the Chesapeake Regional in November 2017. She also washed all of the district’s bidding boxes in her dishwasher during the summer of 2016, and players noticed the first time the clean ones were used at the Hunt Valley Regional that August. Why put up with the constant glue smell? “Nature abhors a vacuum,” Stringer says. “When I see something that needs to be done, I think, ‘I can do this.’ It’s pride. I started a job and I don’t want to quit.” Also, although maintaining the metal boards requires work, they’re much more durable than plastic boards, which need to be replaced frequently. Stringer looks for ways to keep district costs down. 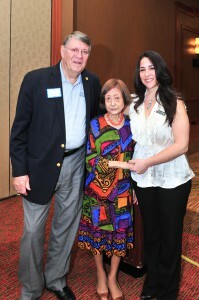 The volunteer award is named for Nadine Wood, who was District 6’s doer-in-chief for many years. 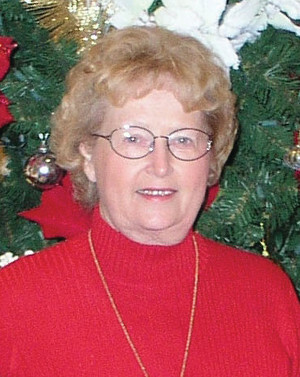 It was her death in 2011 that led to Stringer becoming more involved. Wood filled so many roles that it’s hard to describe the void that was left behind in the Maryland/DC area. Starting in 2012, Stringer ran the Bethesda Regional in even years and the Chesapeake Regional in odd years until they were both scheduled in 2017 to avoid conflicting with the 2016 Summer NABC in Washington DC. Because she liked Chesapeake better, she found someone else to take over Bethesda, mentoring Marty and Ross Bley. She also mentored Farthing in chairing the 2016 Williamsburg Regional and Mary Jo Chiesa for Hunt Valley 2018.
produced two books for I/N players that are still used as prizes. Then she turned them over to someone else. For 2018 ACBL President Jay Whipple, who selected Stringer for the award, it was that focus on training others that made her the favorite. “In my book, that is job No. 1 for a volunteer: Find your replacement,” he says. Volunteering starts with a single word: Yes. Pete Misslin has said yes many times through the years, and look where he is now: He is the 2017 Nadine Wood Volunteer of the Year. 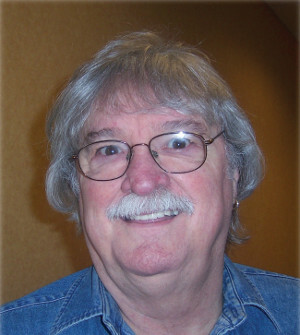 A man of several hats, Pete has been known for the past six years primarily for co-chairing the gargantuan Gatlinburg (TN) Regional. 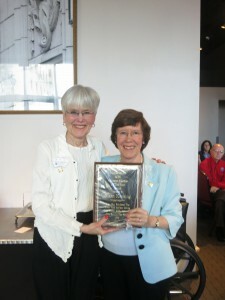 Marlene Wass and Judy Nolan, the first winners of the Nadine Wood Volunteer of the Year award in 2004, co-chaired the Gatlinburg Regional for 24 years. Pete says Wass popped the question in 2009, and he and his wife agreed that they would accept the Gatlinburg commitment “under Marlene’s guiding wings” for two years. Wass compiled a comprehensive how-to notebook for the new chairs before pushing the nestlings out to fly on their own in 2011. Heller and Pete both feel that last year’s tournament attendance was impacted by the wildfires that swept through Gatlinburg in the fall of 2016. When the fires broke out, bridge players far and wide were moved to help the affected residents and businesses. “I worked with Bill Waters, the president of Unit 165, to challenge the Knoxville Bridge Club,” Pete says. The club rose to the challenge and then some, raising $30,000 for relief efforts. Pete and Heller organized a special District 7 charity STaC for Gatlinburg aid, and within 24 hours, eight districts had followed suit. “We got a lot of positive press for what we’d done,” says Pete, who notes the tremendous outpouring of support for a city that doesn’t have a single ACBL-sanctioned bridge club! They played at The Bridge Connection in Detroit until Pete retired. The couple moved to East Tennessee, where they live about 45 miles southwest of Knoxville. Pigeon Forge after 10 years at the helm. Last summer, Heller asked Pete to serve on the District 7 board and Pete predictably said yes. Pete’s term as vice president began Jan. 1. One of the duties of the post is chairing the district’s Tournament Operations Committee. Pete and Julia have two daughters who live in Columbus OH, and each has a son and a daughter. Nancy Erickson doesn’t mind that bridge players pretend to scatter when she appears. An ace recruiter of volunteers, the diminutive 5-foot-2-inch dynamo doesn’t ask anything of others she doesn’t do herself. And according to 2016 ACBL President Ken Monzingo, she does everything. Which is why he selected her as the 2016 Nadine Wood Volunteer of the Year. Nancy and her husband Ron moved to the Palm Springs area in 2001. Having served 17 years on the Lansing MI Board of Education, she was well prepared to offer her services to a large and somewhat politically charged bridge unit. 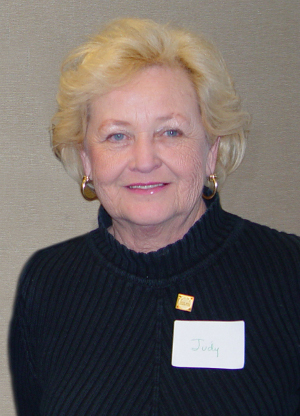 She sat on the Unit 533 Board of Directors, and served as the unit’s president in 2009 and 2010. Her service record includes chairing or co-chairing six sectionals and five regionals, collaborating with her favorite Friday bridge partner to establish the Palm Springs Bridge Club for players in the western part of the unit and writing the unit’s monthly column for the Contract Bridge Forum. She devoted a year to developing a 501(c)(3) application for the Coachella Valley Bridge Foundation and shepherding it through the federal approval process. That foundation now operates the Duncan Bridge Center. 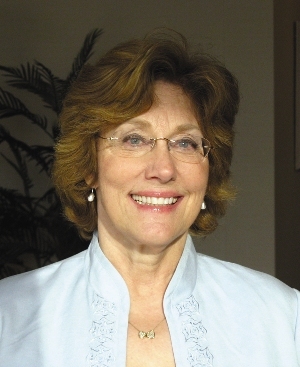 She was appointed to the ACBL Goodwill Committee in 2011. Nancy has a special soft spot for youth bridge. Nancy admits that going into the youth tournament, she felt like she was in over her head a little. “I sometimes have a tendency to get into things with a steep learning curve,” she says. So she was delighted to be able to work with Tucker. The 2014 Youth NABC was the first attended by a large contingent of Juniors from China. Nancy was concerned that the guests be able to understand the signs. Conveniently, her daughter, Megan, was hosting a Chinese student. In 2011, Unit 533 recognized the Ericksons’ extraordinary contributions by establishing the Ron and Nancy Erickson Volunteer Award. Recently, Nancy helped revamp the Unit 533 website. With her experience and contacts, she is also the local go-to person for matters involving ACBL rules, regulations and protocol. threshold of their new California home. It didn’t take long for the expatriate New Yorkers to find volunteer opportunities to give back to the game. Singling out Debbie Rosenberg’s tireless efforts on behalf of ACBL and USBF Junior programs, 2015 ACBL President Suzi Subeck named her the 2015 Nadine Wood Volunteer of the Year. No one is more surprised than Debbie, and she is quick to deflect the spotlight. 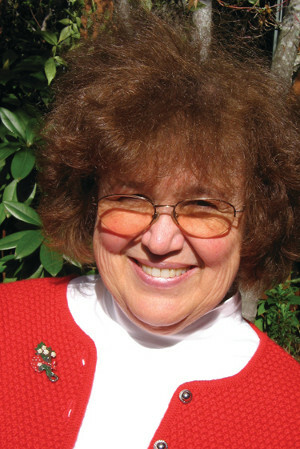 In May 2013, an avid group of bridge evangelists that included Debbie launched Silicon Valley Youth Bridge (SiVY Bridge), and she was convinced to be the group’s first president. “Unit 503 has long had a strong volunteer tradition,” she says, “and there were extremely capable people interested in starting a youth program.” She adds that the San Francisco–based Center for Bridge Education’s offer to fiscally sponsor the group was, and still is, crucial. Unit 503, an annual showdown between Stanford and the University of California at Berkeley. The nonprofit organization also offers scholarships for players interested in attending the Youth NABC. Last year, they sent 14 members to Chicago. In addition to financial support, these young players were afforded special training in etiquette, strategy and partnership skills. She estimates that more than 100 volunteers have contributed to SiVY Bridge since its startup, “and at least 60 have been active in the last year.” One of those hardworking volunteers is her son, Kevin, who she’s watched grow as a teacher and an organizer. “He has contributed a huge amount of time and effort to the program,” she says proudly. SiVY Bridge records show that the group has brought in 80 ACBL youth members. Debbie is a big supporter of ACBL events overall, helping kids find partners and teammates and encouraging them to participate in club games, sectionals and regionals. Working with USBF Junior Coordinator Joe Stokes, Debbie was instrumental in building the USBF Junior Training program. “I cannot say enough about all the good work Joe does!” she emphasizes. She later worked with Michael and Barry Goren to create the current model. Nowadays, she is a part-time mentor and consultant for the USBF program so that she can devote most of her energy to SiVY Bridge. Debbie plays and teaches bridge professionally. She was a member of the 1991 gold-medal Junior World championship team; two years later, her team finished third in Aarhus, Denmark. She won gold medals in the 2002 World Championship Women’s Pairs and the 2007 Venice Cup. For more information about SiVY Bridge, please visit siliconvalleybridge.org. Learn about the USBF Junior program at usbf.org. In the long history of the ACBL Goodwill Committee, there have been many magic moments at the committee’s thrice-yearly receptions. 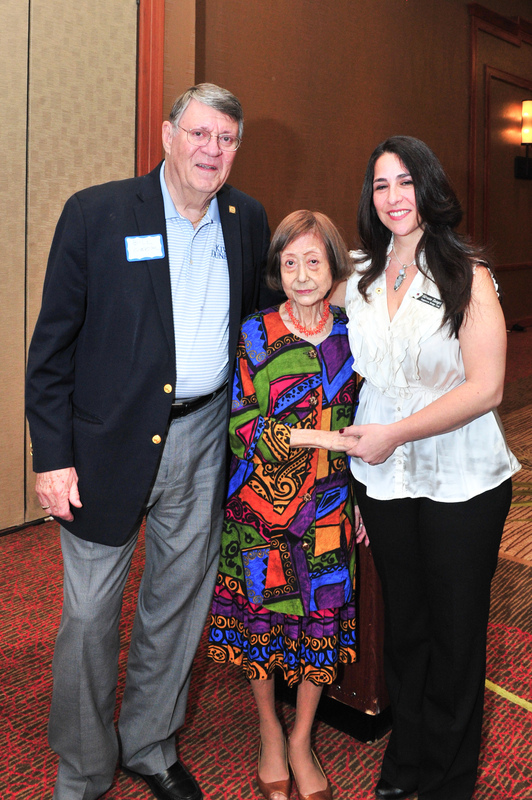 It would be hard to top the introduction of Kitty Gottfried as one of the two recipients of the Nadine Wood Volunteer of the Year award for 2014. There were few dry eyes in the audience when the diminutive Gottfried was called to the podium by Goodwill Chair Sandy DeMartino. Gottfried seemed overwhelmed by the honor and was speechless for a few minutes as she listened to praise after praise for her long service to the Washington Bridge League as the queen of hospitality. Margot Hennings, who represents District 6 on the ACBL Board of Directors, said Gottfried was the late Nadine Wood’s top helper for more than 40 years. “It’s nice to be able to recognize people who have given so much to bridge,” said Hennings. When she took the microphone, Gottfried said she had a lot of help with her hospitality duties. “We had lots of good people from the WBF,” she said. “Volunteers need other volunteers.” As she made her way back to her seat after offering thanks for the honor, she received a standing ovation. The honor for Gottfried was part two of the Volunteer of the Year award presented by 2014 ACBL President Bill Cook, who said he could not select just one recipient from the list of candidates given to him. As president, it was his duty to select the volunteer award winner or winners. Co-winner Silvana Zangri was hailed for her dynamic performance as the top fundraiser during the joint operation between the ACBL and the Alzheimer’s Association last summer during the Longest Day event. Scotto’s Sagamore Bridge Club in Syosset NY (Long Island) raised more than $80,000 for the cause. Levy said Zangri is a dynamic recruiter, outstanding club owner and volunteer, serving on the unit board. 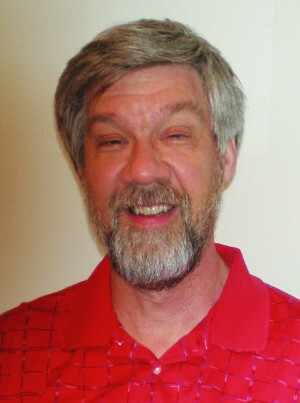 Kroning is a member of the District 20 board and the ACBL Goodwill and Charity committees. As the district’s Intermediate/Newcomer coordinator, Kroning revitalized the I/N program, producing impressive results. For example, she helped the Portland sectional increase I/N tables from three in January 1997 to 64 in January 2012. Seaside went from no I/N tables in 1997 to 24 in one afternoon in 2009. She was I/N chair for the 2004 Spring NABC in Reno. “I owe a lot to bridge,” said Kroning, who told of moving from South Africa to Phoenix AZ and knowing no one. “I went to the bridge club and was embraced and I got a lot of new friends,” she said. After he visited the St. Petersburg (FL) Bridge Club, 2011 ACBL President Craig Robinson said, “I wish every club had a Charley.” He was referring to Charles Gill, club president, manager, part-time director and partnership chairman. Gill arrived in St. Petersburg from Toronto in 1999, and it didn’t take long for him to get serious about bridge. When he took over as club president and manager, the club had 250 members. It now has more than 500. Gill has had success as a player, too. He is a Gold Life Master with more than 3200 masterpoints. 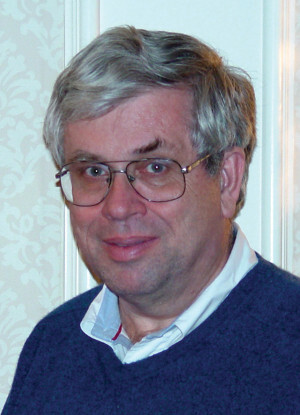 Few volunteers have logged as many hours as Carl Sharp, whose specialty is the partnership desk at Chicago-area tournaments. 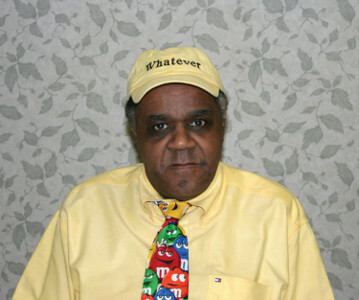 He started helping out in 1971 and has been going strong since then, serving on the boards of Unit 123 and District 13. He has worked in many areas but he is known as Mr. Tournament Partnership Chairman. “I’ve done everything at bridge tournaments,” he says, “but I really like the partnership desk. I enjoy helping people find a suitable partner.” Sharp, a Gold Life Master, is a member of the National Goodwill Committee. Bonnie Bagley, District 17 representative to the ACBL Board of Directors, joined the ACBL in 1994 after finding out about duplicate and quickly became immersed in the administrative side of the game. She is still caddie chair for tournaments in Unit 360. She was assistant chair of the 2008 Summer NABC in Las Vegas and co-chair with Ken Monzingo of the 2009 Fall NABC in San Diego. Rasmus, co-chair of the Buffalo (NY) Regional and chair of the District 5 299er Regional. She has been secretary, vice president and president of the district and is renowned for her cooking and for her part in the hospitality at tournaments. These two Texans have done it all for District 16 and their respective units. 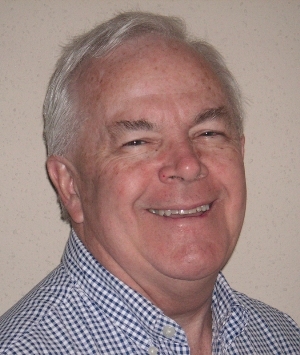 Eric Snow has been a member of the Unit 174 board of directors for many years and has taken two turns as chair of Spring NABCs in Houston, in 2002 and 2009. The district honored him in 1998 with the Oswald and James Jacoby Service Award. Bert Onstott is the district webmaster, completely revamping the website within two months of taking over. He has served as unit photographer and has been the technology guru for the unit and the district. One of ACBL’s busiest members is Ken Monzingo, chosen by ACBL President Sharon Fairchild, as Volunteer Member of the Year. The two are now colleagues on the ACBL Board of Directors. Monzingo, of San Diego, has been tournament chair for two NABCs – the 2008 Summer NABC in Las Vegas (with Bonnie Bagley) and the 2009 Fall NABC in his hometown. He has also found time to edit the newsletter for the Western Conference (Districts 17, 21 and 22) for more than a quarter century. 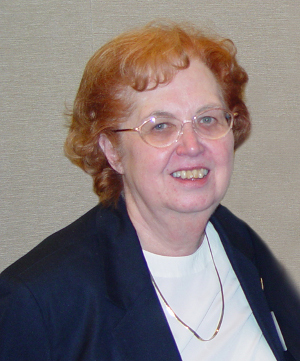 One of the founders of the Sun Lakes at Oakwood Bridge Club, Nancy Espy is known throughout the Arizona community of Sun Lakes as “the bridge teacher.” Many new ACBL members have come from Espy’s classes, and she also runs a successful mentoring game. The former school teacher and federal bank examiner has been teaching bridge for more than 15 years. Another double award went to ACBL members on opposite sides of the U.S. Cindy Kirk lives in Novato CA. 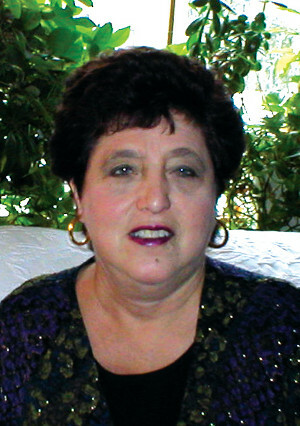 Roni Gitchel, who died in 2008, lived in Pittsburgh. Kirk’s list of positions in service to bridge is long and includes secretary of Unit 508 (Marin) and for the 1996 Fall NABC in San Francisco. 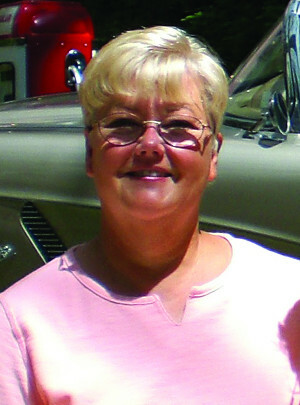 She has also served as secretary of the District 21 board. Gitchel, of District 5, served on the ACBL Board of Governors for 20 years and was chair of the 2005 Spring NABC in her hometown. How do you put a small town in east Tennessee on the map? You let Marlene Wass and Judy Nolan chair a regional tournament there. With fewer than 4000 inhabitants, Gatlinburg TN has set tournament attendance records for years, occasionally outdoing even NABCs, and is a Mecca for tournament players today. Wass, of nearby Knoxville, and Nolan, of Maryville TN, chaired the Smoky Mountain MABC Regional for 24 years before retiring in 2011. They earned the titles of Volunteer Members of the Year, initiated by former ACBL Board Member Bruce Reeve, who represented the District in which the tournament occurs.